In the news, in the last couple of days, it has become a story - a true one - that the Albert Park-Radisson Heights community hall, has been shut down for health reasons. We knew that it was a falling apart cinder block construction that had aged poorly, and though it's been lovingly taken care of by community members for years, it is at its end of life, and we knew that day was coming. This sounds like a bad news story, but actually, it’s a very good news story. I'd like to lay out some of the bigger things that are happening in the neighbourhood and the city, how Albert Park-Radisson Heights has been positioning itself, and how this is actually a very good news story because it catapults us to the front of the next-generation community hall queue. The first thing I want to talk about is our hopes, dreams and aspirations for a best possible future for the communities of Greater Forest Lawn. As you know, I've been working in these communities since 2004. I did my Masters thesis working with the International Avenue Design Initiative. That work is now being represented through an unprecedented and amazing amount of reinvestment that's happening on 17 Avenue Southeast. We need and deserve to have an amazing main street, celebrating the communities of Greater Forest Lawn, and worthy of the name, International Avenue, and I’m proud to see that progressing right now. The International Avenue Design Initiative that originally worked with the community to envision what’s happening now, had a bigger program, too. It was a program of cultural celebration. It was a program of social development. The reality is that there are no big cultural venues east of the Deerfoot, in the central east area, in East Calgary. For years, even before the International Avenue Design Initiative started, the International Avenue Arts and Culture Center (IAACC) movement was afoot. When we did our work on The Avenue, the question was where would an arts and culture centre go? The findings of our in-depth, week-long charrette with the communities was that, there are many places where it would fit and work, and go well. One of the areas that we set up for this potential site is right at the top of the hill, right before 26 Street SE, on the south side of 17 Avenue SE. However, The City of Calgary sewage work there, and currently, we're bringing in the 17 Avenue SE BRT there. It's a problematic site, and we started to have a real conversation. 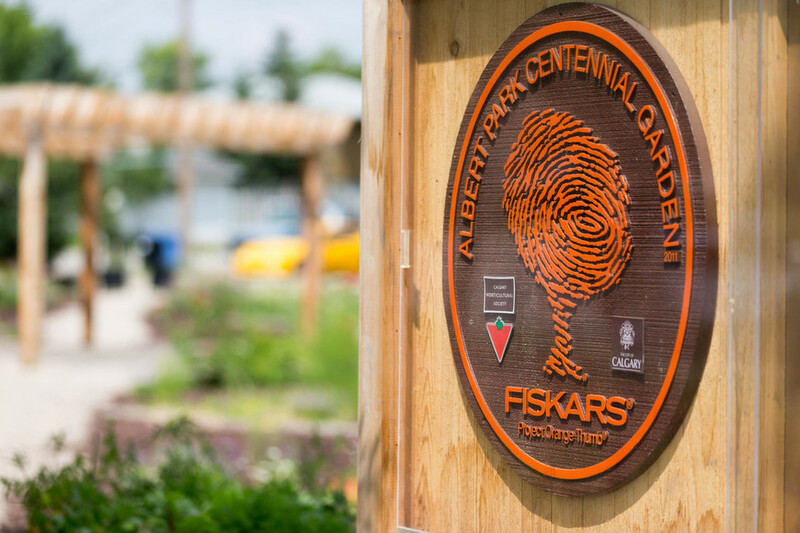 With the Albert Park-Radisson Heights Community Hall at end of life, maybe this would be a good site – there is provincial money on the table, through the Municipal Sustainability Initiative (MSI), for a cultural center. But as we all know, there are just so many amenities that the community of Albert Park-Radisson Heights needs. One example of this need, is seniors housing. We have so many people who have lived and grown up in the neighbourhood, and whose homes maybe aren't working for them anymore, but want to stay in the community – and there’s a real possibility that as a community, if it was agreed upon – that we could combine that type of amenity with the future community hall. In short, the International Avenue Design Initiative conversation that drove the changes we're seeing on The Avenue, dovetails perfectly with the broader conversation we're having at The City, about civic facilities. Now, Albert Park-Radisson Heights’ community hall is not alone in being at the end of its life. Almost all of our community associations were built cheaply in the 1950's and 1960's. They have been managed by a cadre of dedicated volunteers, but not professional property managers. There hasn't been the kind of reinvestment in these facilities that would be necessary to keep them going. And frankly, there simply hasn't been the money for that necessary reinvestment. On top of that, we've undertaken things like our poverty reduction strategy, the Enough For All strategy emerged with some key findings, one of which, was the idea that we should no longer build standalone community facilities. Instead, what we should build are rich, multi-use community hubs to be centres of community life, nexuses of all kinds of connections between people that are beachheads against people slipping into poverty. When you have a place to go, when everything you need is intertwined with everyone you know, you build in proactive ways against slipping into poverty. Our “integrated facilities management” work came to the realization that we as Calgarians can't afford to build standalone buildings on valuable city land - when we build a fire hall now, we're going to put housing above it. When we build a parkade, we're going to integrate it with “maker-space” and co-work space and other useful community amenities. These are the conversations that are happening within The City and amongst City Council, and so the conversations of taking a community hall and integrating it with an arts and culture centre, and integrating it with seniors housing, and perhaps with market-driven prospects, so we get a rich business proforma that is able to sustain itself over time, is an important conversation. The ultimate goal of an integrated facility would be to free up volunteer time – moving them away from being property managers – so they can be volunteers in the community and putting the work of managing the facilities into professional hands. The question is, of course, “where do we do this work first?”. Well, to me, if we have to shut down your hall because it's a health hazard, it seems to me like we've just catapulted to the front of the line, and in that spirit, this is a very good piece of news. Of course, I want to give a huge “shout out” to all the amazing community volunteers, who have been rolling up their sleeves and working hard for their communities. We will reach a great outcome, but it's only going to be as great as your involvement and your participation in envisioning the next future for an amazing community hub in this amazing neighbourhood. With that, on Thursday April 26 at 7:00 PM at Bishop Kidd Elementary School (1420 28 Street SE) right next to the Albert Park-Radisson Heights community hall, I'll be attending at the community association's town hall meeting to answer questions from residents and to discuss what’s next. I hope that you can attend and I look forward to seeing you there.